The most simple of ice-creams, that is delicious and light. Add milk to a small pan and over a gentle heat dissolve the sugar. Allow to cool completely then pop into the fridge for at least 1 hour until the mixture is cold. 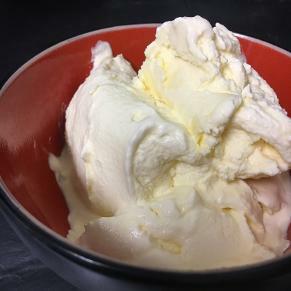 Stir in the cream and pour into your ice-cream machine. 50g chocolate syrup mixed with 10g cocoa powder, add to the ice-cream base before pouring into the ice-cream machine.